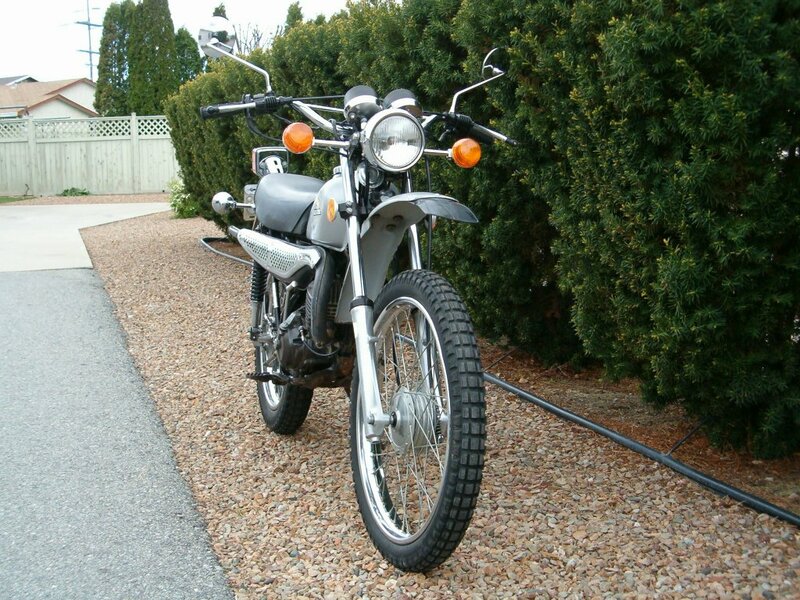 My 1974 Honda Elsinore MT 125. A Brief History of My Toy. This is my baby. 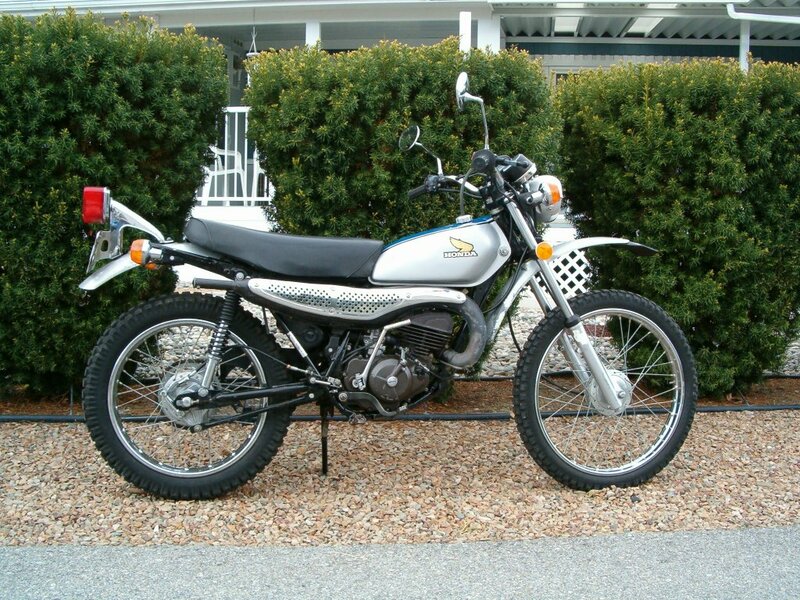 It is a 1974 Honda Elsinore MT 125 (Manufactured 02-1974) It is in original condition (almost mint). It only has about 500 ORIGINAL miles on it, as it has been in storage for most of it's life. I purchased it from a friend who only rode it around his farm for its first 10 years, and he stored it in his basement when it wasn't in use. 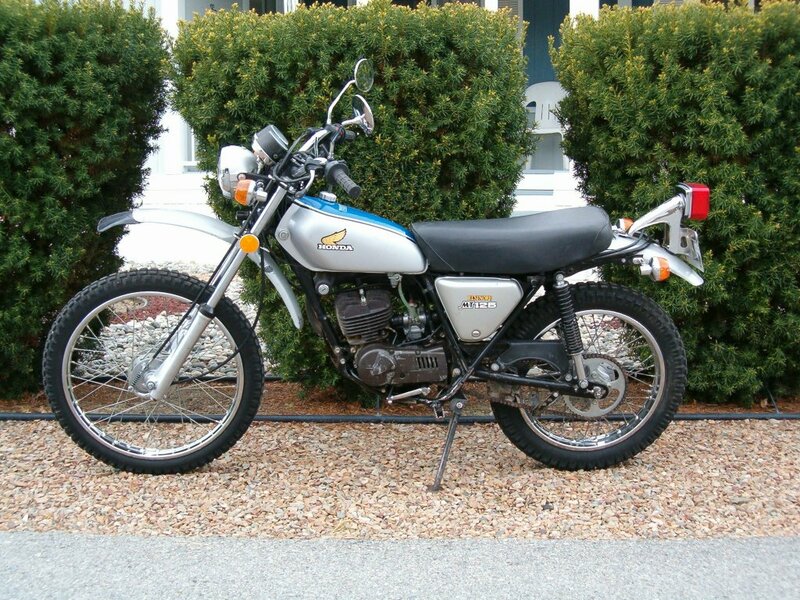 I purchased it from him in about 1984 -1985 intending to do some trail riding on it, but because I lived in the city I had to load it into my van and drive it to where I wanted to ride it. So it sat in my shed most of the time. I then spent several years in university, so again the old Elsi sat in storage. After university I spent a lot of time living in apartments. This made riding somewhat inconvenient, as I had to live by the storage company's time schedule. 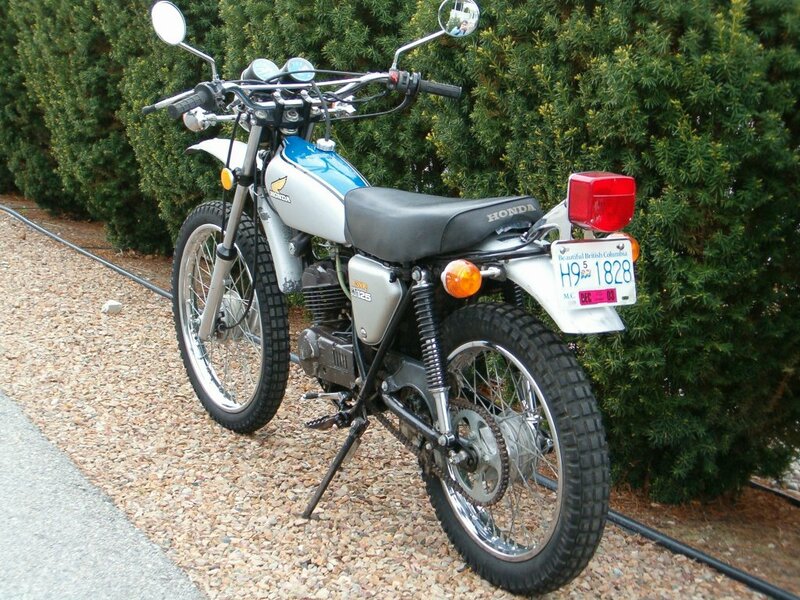 But somehow, during all this time of inactivity, I just could not bring myself to part with the old bike. There was just something about it. At the time of these photos, This old bike had not yet seen any restoration, and still runs perfectly (as it well should with only 500 miles on it), however in the last year I have been tracking down some spare parts, so that I can restore those parts and keep all the original components original. I will soon be posting some of that work on the restore page as soon as I get the chance.